What makes a company valuable? What makes a startup make or break? What is an entrepreneur? In Zero to One by Peter Thiel helps answer these questions. I enjoyed reading this book. It gives a lot of example about startup and business strategies. It is inspiring for those who wants to start a company. 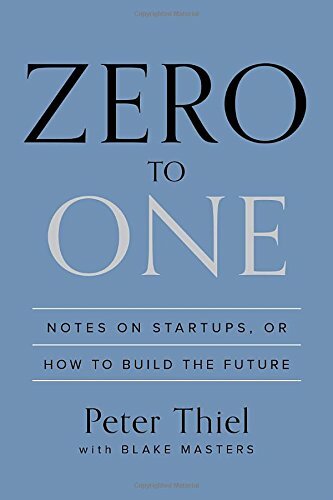 The book gives the truth about the risk of starting a company, one may fail, but the lessons learned will be very valuable. Company which monopolize the market will keep saying that they are not. Founders tend to have extreme personality. China is probably the most definitely pessimistic place in the world today. A clear vision and a great team attracts talent. If you don’t see any salespeople, you’re the salesperson. This entry was posted in Book and tagged book review, entreprenur, startup on October 18, 2014 by Kennith.